This level has easy difficulty but need just good strategy to complete this level with three star score. First you should try to play near to colorbomb or make colorbomb and combine with striped candy. 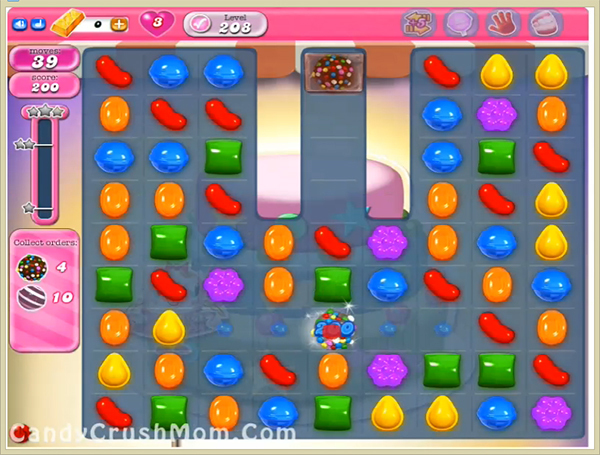 Then Try to make colorbomb and break with normal candy so board could have more other normal candy from that you could make more required colorbomb. We completed this level with 125060 score using same colorbomb trick that we posted above that help to reach requirement with three star score.